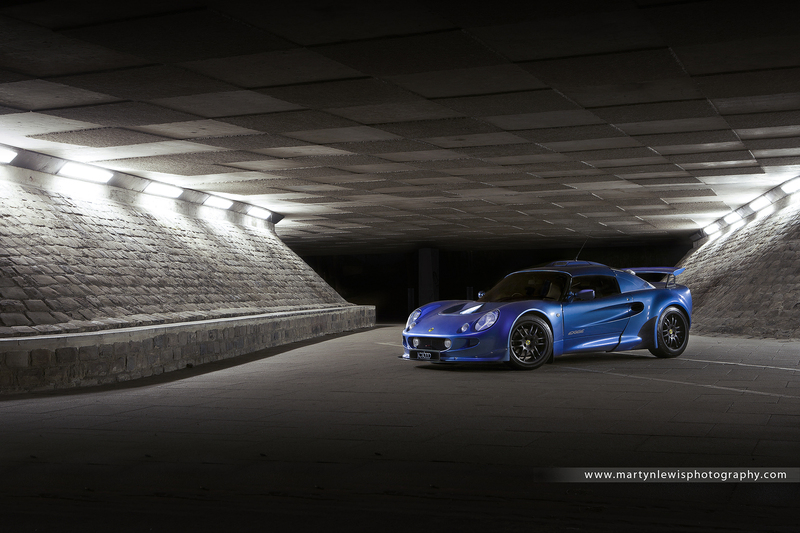 ‘Discrete’ is one word rarely applied to the Lotus Exige. It becomes a laughable notion when you gather three of them – plus a brand-new Bentley Continental GT and photographer Martyn’s lurid green ‘Elige’ – in one of the less salubrious corners of Leeds for a photo shoot. The results seemed to be worth the jeopardy though as an apparently unremarkable underpass became the stage for what we understand is the first purposeful photo shoot of all three generations of this iconic car in the UK – and probably the world. The catalyst for this gathering of bewinged racers was the arrival of local dealership JCT600’s new Exige S demonstrator; in glistening pearlescent white. 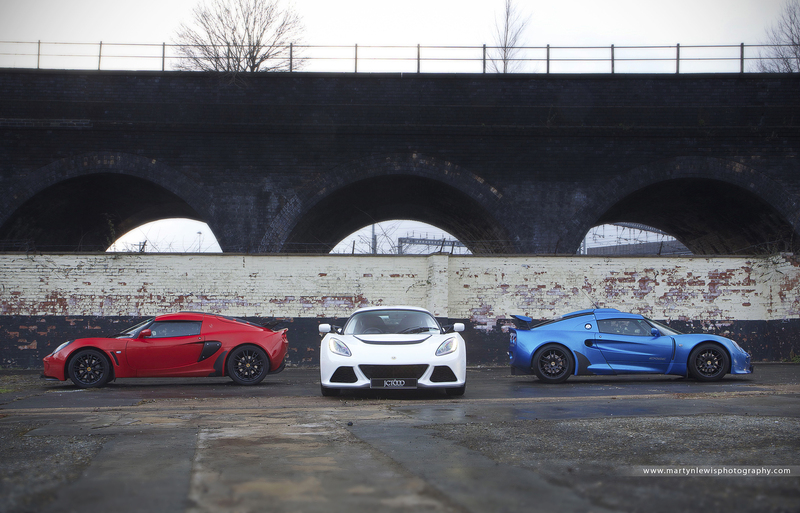 Being blessed with a laser blue S1 Exige myself, all we needed was a red S2 and we had the set – in patriotic livery. Skipton resident and enthusiastic owner Andy Gates generously brought over his stunning ardent red 2005 S2 Exige and so the stage was set for a freezing cold evening of standing around hoping none of the locals decided to relieve us of our precious metal. Andy has owned his car for three years. Finished in ardent red, he added longitudinal stripes to break up the colour. With black wheels, splitter and diffuser it carries itself with the usual Exige swagger. Andy has been remarkably restrained with the modifications to his car, though a sports exhaust should add to the drama plenty when installed. Back at our photo shoot, photographer Martyn displays endless patience in placing the cars millimetre-perfectly. He seems to spend as much time lying on the floor as he does standing up. He uses a technique called ‘light painting’ which seems to involve long exposures and an LED torch. It’s all deeply impressive stuff, though the female members of our party rather prudently take up residence in the Bentley; replete as it is with heated massage seats. I wish I’d thought of that. My toes are stinging from the cold. The results of the shoot are spectacular and worth braving the freezing temperatures and jeopardy for. Whatever your sporting automotive preference, there is now an Exige for you, and you can guarantee nothing else will match it for dramatic, head-turning looks and ultimate dynamic potency. 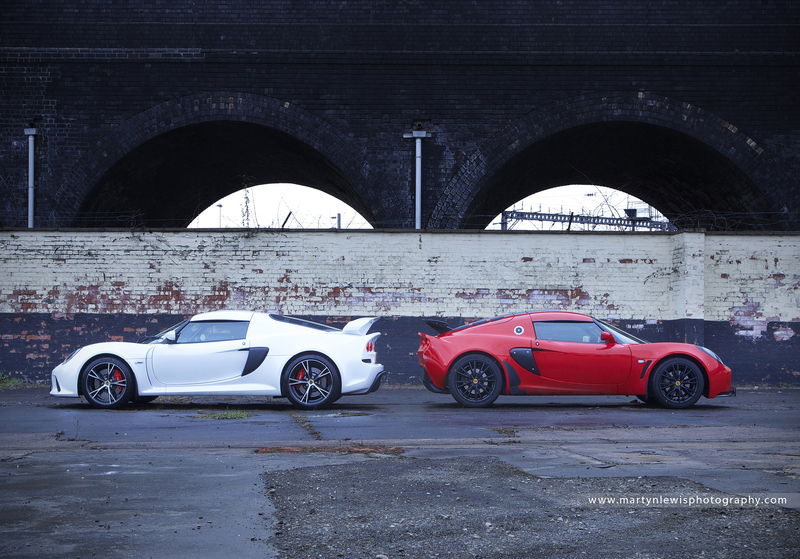 My thanks to JCT600 Lotus, martynlewisphotography.com and Andy Gates for their time and effort in making the shoot happen.